Growing up surrounded by Disney princesses and dolls with thick long hair, it’s only natural that I wanted the same. However, the reality is that growing healthy long hair can be tougher than Rapunzel makes it look. Hair breakage, heat and colour damage, plus hair fall, all make it difficult to maintain or grow long hair. The same goes for your skin and overall health. 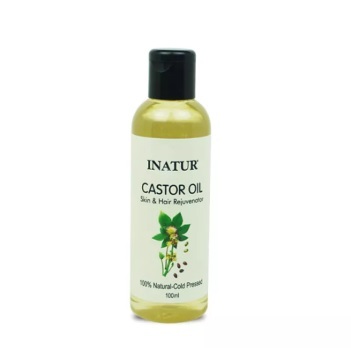 If you want radiant skin and silky smooth locks, we have a hair and skin saviour for you - castor oil. 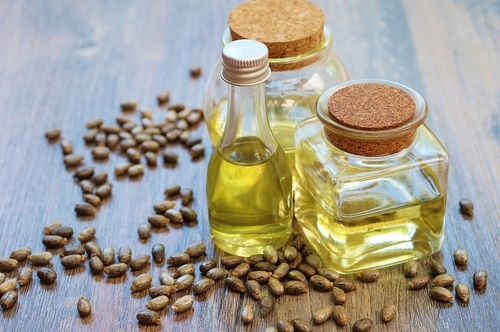 Here's everything you need to know about castor oil. So Ladies, What Is Castor Oil? 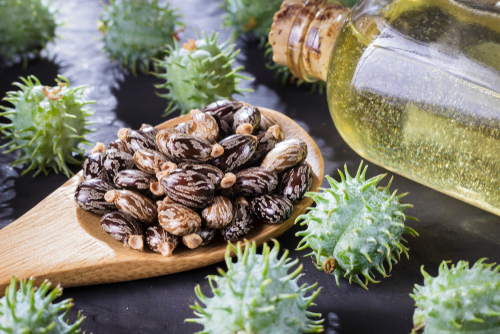 For centuries, castor oil has been known for its health benefits, but it is not the first thing that comes to mind when we think of hair growth. It is packed with nutrients such as ricinoleic acid, Omega-6, antioxidants, vitamin E and minerals. It’s extracted from castor seeds and is usually pale yellow in colour. Since it is sticky and thick, most companies sell their versions of castor oil blended with lighter oils. What are the benefits of castor oil for hair and skin? Let's find out! If you are suffering from breakouts and sunburns, castor oil is a miracle oil for you! It has healing properties that soothe the area as well. All you have to do is dip a ball of cotton into a bowl of castor oil and apply it all over the skin. Leave it on for an hour and then wash the area with lukewarm water. For positive results, you must do this every day for a month. Believe it or not but castor oil has the power to penetrate into the skin and stimulate collagen production. It offers deep hydration and moisturisation to your pores and delays fine lines and wrinkles. Don't want to splurge on a moisturiser? You don't have to if you have a bottle of castor oil at home. This baby acts as a natural moisturiser and works towards hydrating and moisturising your skin. Apply 1 tablespoon of castor oil on a clean face, slowly begin massaging in a circular motion. Do this every night and morning, your skin will thank you for it. This is a slow process, but if you continue to use castor oil for a while, you will see noticeable changes in your skin. You see, the fatty acid in the castor oil goes deep into the scar tissue and purifies it from within. This very action also promotes the growth of healthy tissue and that in turn, heals blemishes. According to healthline, a woman should apply castor oil on her stretch marks once at night and once in the morning. After a couple of months, you'll notice that your scars have started to fade. Also, if you know someone who is expecting, ask them to apply castor oil over the problem areas. They should continue to do so for the next couple of months. It works like a charm! Click here to read about everything you need to know about stretch marks. Many times, hair fall is due to an unhealthy scalp. Whether you have a skin condition or dry scalp, all these reasons can cause hair to fall. Castor oil has antiviral, antibacterial and antifungal properties, which makes it very effective in treating different scalp issues. 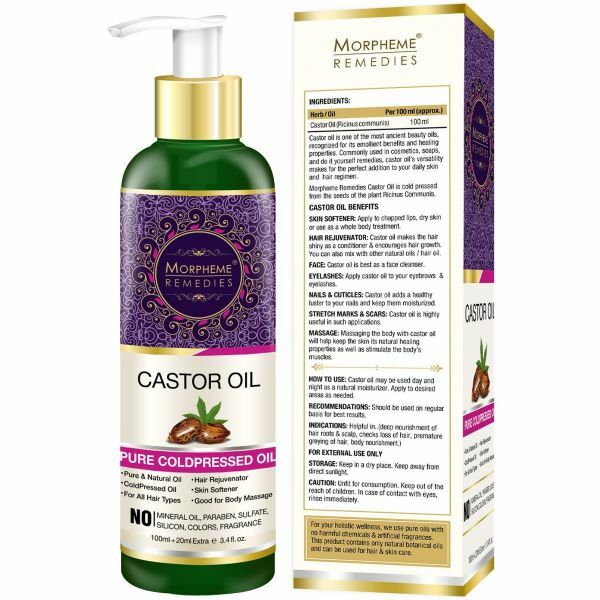 Additionally, if you’ve got a condition called folliculitis, which causes inflammation of the hair follicles, castor oil can help. It has anti-inflammatory properties as well. Ricinoleic acid helps to improve blood circulation; castor oil has a high content of this acid. When applied to the head, it can immediately improve the blood circulation of the scalp, which in turn helps boost hair growth. It’s because of these reasons, that some believe that castor oil can increase the growth rate of hair by 3 times. But just having long hair isn’t enough - healthy, thick and beautiful long hair is better. Castor oil is an effective hair growth enhancer. Yes, it helps from the scalp to the follicle to the strands. Taking care of each aspect of your hair so it can not only grow long but be healthy along the way too. It reduces split ends, controls hair breakage and keeps locks moist and healthy. When applying the oil to your hair, make sure it's warm. Applying it twice a week for a month will help your hair get that bounce and shine back. Castor oil is a natural conditioner since it contains 18 different fatty acids. These help protect your hair from sun damage and loss of colour. It also replenishes natural oils that can be lost from heat treatments and colouring. Just after shampooing your hair, apply a bit of castor oil to your strands and leave it to soak into your scalp and hair for a good 15 minutes. Wash it off later with warm water. The keratin structure in our hair can weaken over time, causing breakage. Castor oil penetrates the hair filling in the gaps of keratin. This makes the hair strong, less likely to break and reduces split ends. Wellnessmama also came up with a cool DIY castor oil hair serum recipe. They mixed 3 tablespoons of castor oil with a teaspoon of jojoba oil. Pour the solution into a small bottle and give it a good shake before you spray! Those suffering from premature greying should consider making the most of castor oil. Using this baby every morning and night will prevent your hair from losing its natural pigment. Just how it reverses the signs of ageing for your skin, it does the same for your hair as well. Did you know that castor oil contains undecylenic acid? It is this very property that helps treat ringworms. In a bowl, mix half a cup of coconut oil and castor oil. Use a spoon to blend both oils well. Now, apply the oil to the area that has the ringworm. Continue to do so every day for a month and that ringworm will disappear eventually. As mentioned in essentialoilacadamia, castor oil that contains ricinoleic acid is used to disinfect cuts, sores and open wounds. Use a cotton ball that's soaked with castor oil to get the job done. It's perfect to use on small cuts, scratches and wounds. Let's say you had a fall and you're experiencing severe pain in your joints post the accident. You can use castor oil for instant pain relief. All you have to do is soak cloth into a bowl of castor oil. Squeeze out the excess. Wrap the cloth around the joint and place a hot water bag over it. If you use the oil on your back it will relieve it from pain and stiffness. Ask a friend or the salon lady to apply castor oil to your back and massage the area for 15-20 minutes. Then, place a hot water bag on your back. This will improve the condition of your back eventually. At least once a month, you should do a stomach cleanse. Consuming castor oil helps to reduce bloating, constipation, and acidity. Here are a few recipes to try at home. Those suffering from food poisoning or constipation should give orange juice mixed with castor oil a shot! The taste will be off, but close your eyes and keep gulping. Pour yourself a glass of orange juice. Add 2 tablespoons of castor oil and stir. After half an hour, drink a tall glass of water. Continue to sip on warm water all through the day. Pour milk into a glass. Add a tablespoon of castor oil. Mix both the ingredients well and drink up! Another ayurvedic remedy you must try is castor oil and ginger water. They're perfect ingredients for tummy cleansing. However, you must drink this solution on an empty stomach, once a week, for positive results. Add crushed ginger to the water. Pour the hot drink into a cup and add a tablespoon of castor oil. Out of ingredients? No worries! Just castor oil and plain warm water will help improve your existing metabolism. However, you must drink this solution twice a week for the best results. Pour some hot water into a cup. Add a tablespoon of castor oil into the water. How Do You Obtain The Pure Version of Castor Oil? 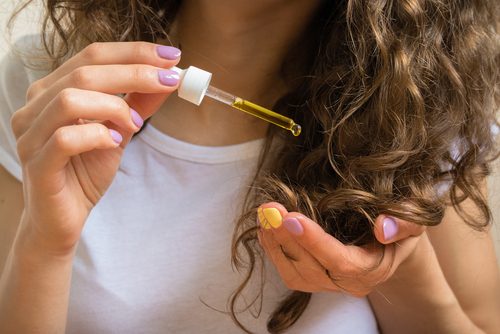 While there are many varieties available, there are three types of castor oils that can be found in products - Organic castor oil and Jamaican Black castor oil can be used on hair; hydrogenated castor oil (castor wax) is mostly used in beauty products. Organic castor oil is extracted directly from the seed by cold pressing, and hence it is the purest form of the oil. 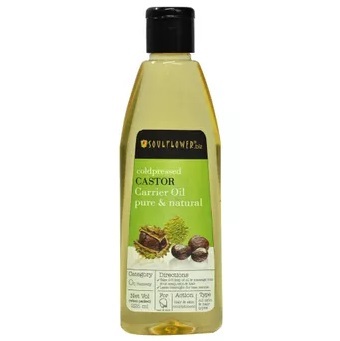 This castor oil is especially good for dry hair as it is a humectant. This means that it retains the moisture in the hair by sealing it in to really bring that much needed hydration to dry hair. Thus, also making it the perfect companion for damaged hair or an itchy scalp. The Jamaican black castor oil has the same extraction process, but the seed is first roasted and then pressed. The ashes of the roasted castor seeds are then added to the oil which is why it is black in appearance. It’s more alkaline based compared to pure castor oil, hence ideal for normal hair types. As mentioned before, castor oil is thick, therefore making it hard to wash off. There are two ways to apply castor oil to hair. These methods can be used with either the organic or the Jamaican Black castor oil. If you do use the JBCO, make sure to wear old clothes while applying as it tends to stain the clothes. Take a few tablespoons of castor oil, depending on how thick and long your hair is. Using a little bit of the product at a time, work it into the scalp and hair. Do this, till the whole head and hair are oiled. Cover your hair with a shower cap and keep it on for one to two hours. If you want intense conditioning, you could keep it on overnight. Wash your hair after applying, you might have to rinse and repeat a few times till the oil is finally out of your hair. Mix all these oils together and apply it on your hair and scalp. If you want a bit of a spa feel to this home treatment, warm up these oils and then apply thoroughly. Keep for 1 hour and then rise as you would normally. You could also make this mixture in larger quantities and store it for later use. Add a capsule of vitamin E into the mixture, to boost hair growth. As with any oils, just one-time use isn’t going to show results, Have a regular routine, twice a month if you’re too busy or once a week, if you have the time and energy. You will start to see stronger and longer hair in a few months time. Natural ingredients are always preferable when treating hair, especially if you’re putting your hair through heat styling tools and colouring chemicals. Give the castor oil time to work on your system. So, the next time you see a bottle of castor oil in the beauty racks, opt to purchase and let us know how effective it has been for your hair. As a bonus, apply castor oil to your lashes and brows too, and then just watch the luscious magic unfold! Here Are 5 Of The Best Castor Oils You Can Bring Home Today! The packaging may be simple, but the product is amazing. The oil is meant to be used on both, skin and hair, and is a rich source of vitamin E, antioxidants, proteins, and antibacterial properties. It softens calluses, moisturises and nourishes hair, heals chapped lips and relieves muscle pain. You can either use the oil directly or dilute it with coconut and almond oil and then apply - whatever floats your boat. Price: Rs 333. Buy it here. 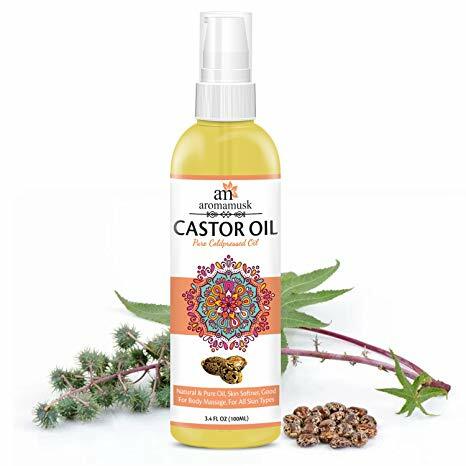 If you're suffering from dry patches on your skin or want to soothe a wound, then castor oil is perfect for your problems! Those looking to grow out their eyebrows should also consider coating them with castor oil. The best part is that you can buy this bottle for less than 150 bucks. Price: Rs 104. Buy it here. 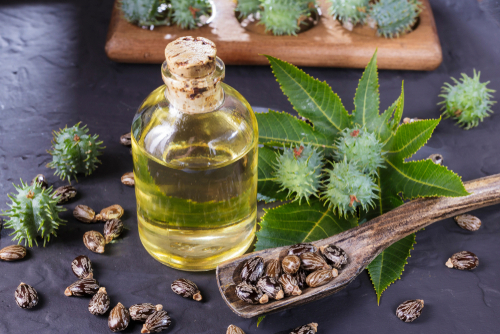 One way to make the most of this specific castor oil is to use it as a massage oil. Heat the oil, dip your fingers into a bowl of castor oil and gently massage it into your skin and target your pressure points. You're bound to feel more relaxed and the same goes for your muscles. Another reason to pick this up is the packaging! It's bright and pretty looking. From this list, this is one of the best castor oils. It prevents hair from falling and skin from drying. You can also use it to cleanse your face from makeup residue, dust and grime. Massage your face with castor oil in circular motions for 5-10 minutes. Then use a warm damp towel to wipe your face. It'll remove all the gunk in one go. You've got to try it to believe it. Have your nails lost their shine and lustre? 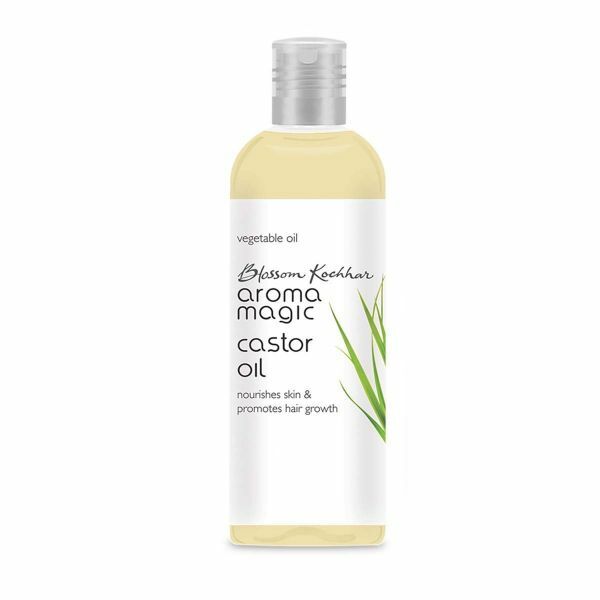 Have no fear when castor oil is here. It not only takes care of your nails but your skin and hair as well. Applying the oil to your skin and hair every day will improve their texture and health. Price: Rs 229. Buy it here. Are There Any Side Effects To Using Castor Oil? Yes, There Are! If you consume too much of castor oil, you could feel nauseous. This will eventually lead to dehydration and an electrolyte imbalance. Worse comes to worst, you could have a constant urge to vomit and feel constipated. When this happens, don't stress out. Take rest and keep yourself hydrated. On the day you decide to consume castor oil, make sure that it's done on a holiday. Because you will be making frequent trips to the washroom. 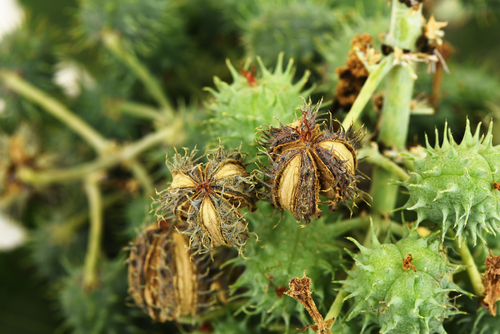 Castor oil contains ricin and is known to upset the stomach. Again, keep yourself hydrated and get yourself lots of rest. Those women who have sensitive skin should try their best to control their castor oil consumption. You could get an allergic reaction that will urge you to itch and give rise to skin infections like hives. If at all you experience any of these symptoms, don't panic! Mix some apple cider vinegar with water and apply the mix to your skin. Leave it to dry for about 15 minutes and wash the area with mild soap and lukewarm water. As you know, castor beans contain ricin. It's a deadly protein that has the potential to put any bird, insect, and pests to sleep post-consumption. The worse part is that there is no cure for this. If you take too many of these beans, you could experience vomiting and diarrhoea. This eventually worsens as you begin to cough blood and excrete blood. Leading to a drop in blood pressure and major dehydration, if medical attention isn't given, this could lead to death. By all means, castor oil must not be given to children below the age of 6. It could be toxic for their system and they may be too sensitive to deal with the side effects like rashes and vomiting. Without the advice of a health expert or doctor, don't go ahead and make your kid drink any liquid that contains castor oil. Trust us, it's not going to end well. Don't be under the impression that castor oil supplements are milder than the real castor oil, its effects will almost be the same. A pregnant woman who consumes the supplement could feel nauseous, pukish and abdominal cramps. Neither of these symptoms is safe for a mother and her to-be-born child. What Does Cold Pressed Castor Oil Stand For? When pressure is aimed at the castor beans, along with oil, they give out nutrients, minerals and fatty acids. The fact that no heat was used in extracting the oil from the beans is what cold pressed oil means. Yes and no. The oil is toxic for pregnant women and children. An overdose is likely to experience side effects or even worse, encounter death. Can You Use Castor Oil Every Day? Absolutely! However, since castor oil's texture is thick and greasy, it might not be ideal for your face and skin. Applying small amounts of it every day on your brows and hair is bound to improve the length and texture of it. How Long To Wait To See Results? If you consumed castor oil, then your stomach is going to gripe and pain after a couple of hours. Make sure to take the day off when you consume castor oil as the pain, diarrhea and dizziness are going to last for 24 hours. Can You Leave Castor Oil On Your Face For The Entire Night? Yes, you can! Make sure to steam your face first before you go to bed. Apply castor oil on your face, massage it well and wash it off with lukewarm water, the morning after. Yes! Since it's packed with antibacterial, antifungal properties, minerals, vitamin E, omega 6 and fatty acids, your hair is bound to get all the nutrients it needs for healthy growth. Can One Apply Castor Oil Under The Eyes? Of course, they can! Thanks to castor oil's anti-inflammatory properties, it helps to reduce redness and swelling under the eyes. It's perfect to use if you want to reverse any early signs of ageing like wrinkles and fine lines.